Did you know that we have some of the only registered stock in Ontario!? 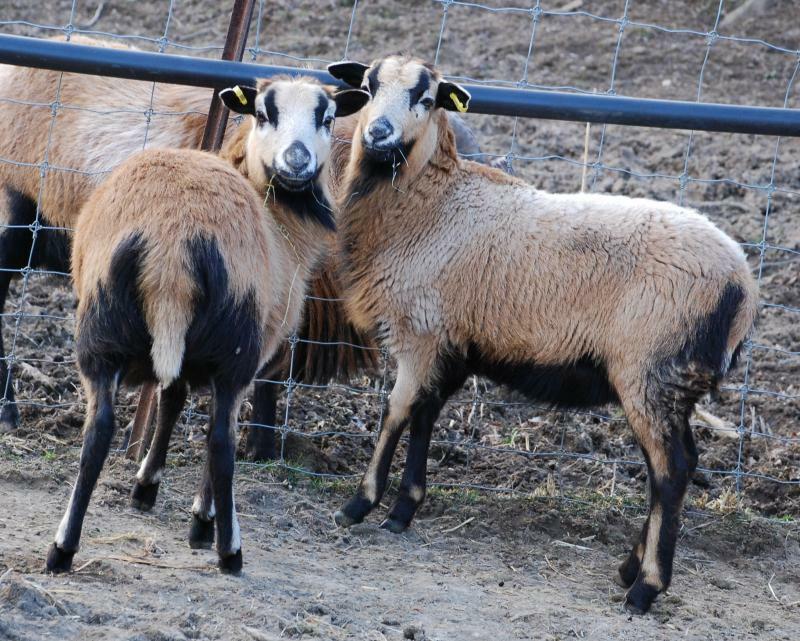 We have imported 2 lines from Alberta and we now can supply breeding trios for anyone wanting to start their own herd of purebred American Blackbelly Sheep in Ontario! 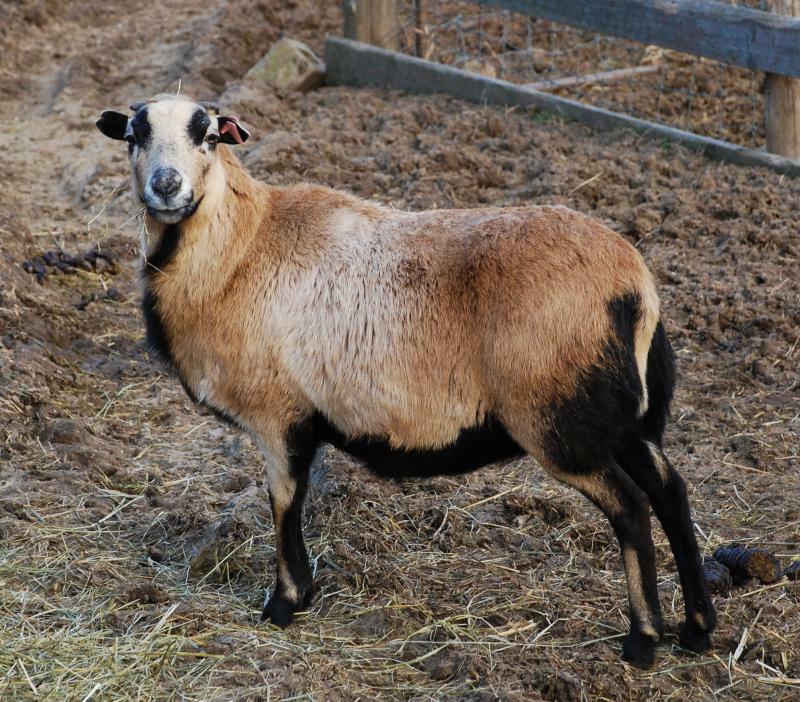 The American Blackbelly sheep is a hair sheep, originally developed by crossbreeding programs involving primarily Mouflon and Barbados Blackbelly. Resulting hybrids produced poor horn growth that interfered with the animals' faces. 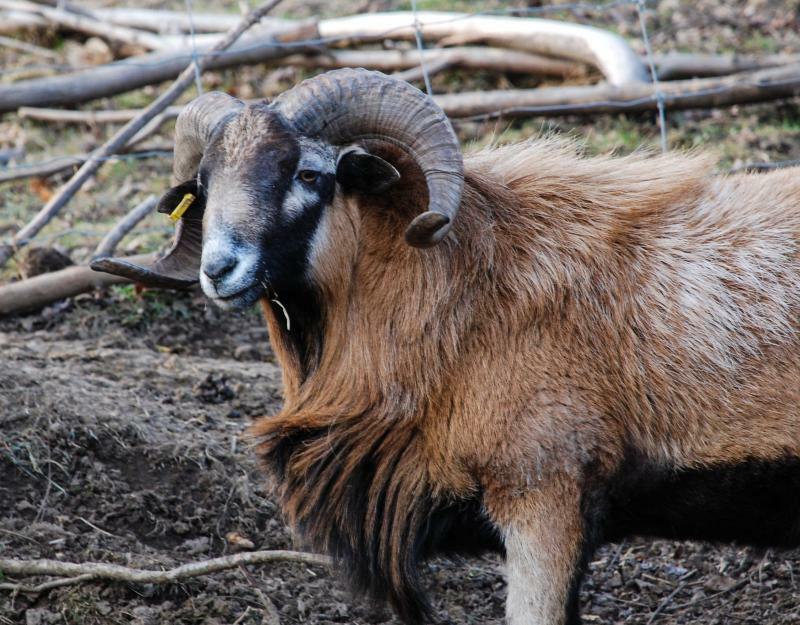 Repeated back crossing on the Mouflon improved horn growth to the extent that the hybrid attracted the attention of trophy hunters. 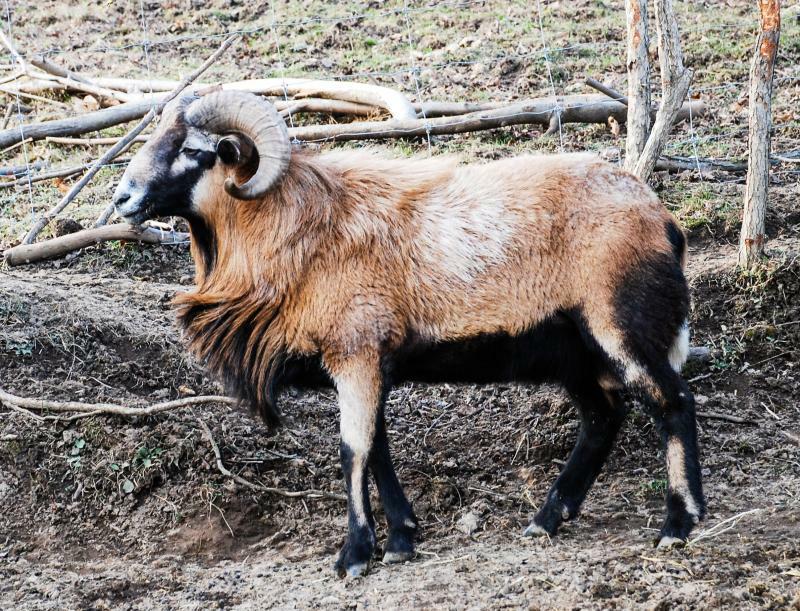 Eventually, a strain of exotic looking animals with massive horns evolved and came to be referred to as "Corsican" in reference to the origin of the Mouflon ancestors. The original cross has subsequently been developed into several distinctive breeds of hair sheep. 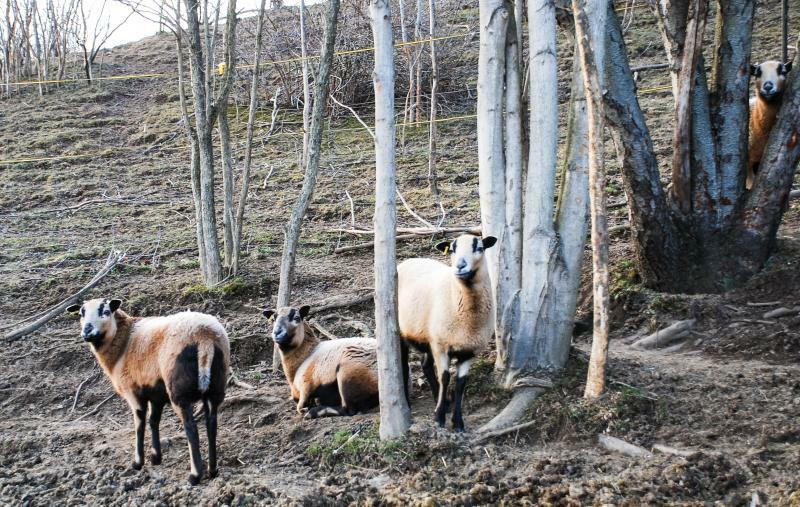 The American Blackbelly is a breed of Corsican descent that is readily identifiable by a very well-defined coat pattern and is registered by the Barbados Blackbelly Sheep Association International. 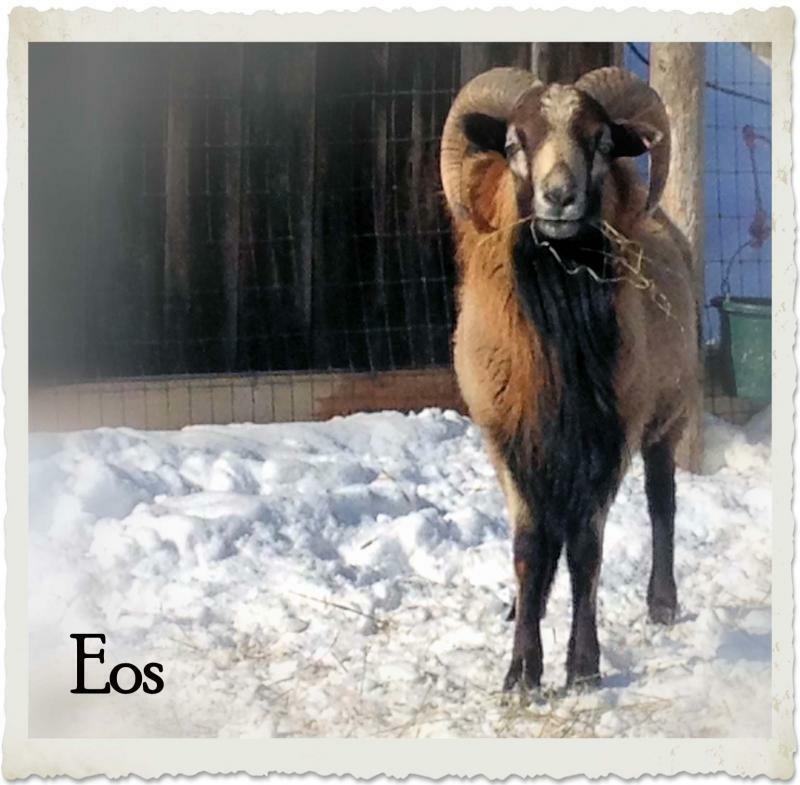 Rams generally display spectacular horns, while ewes generally are polled (hornless.) 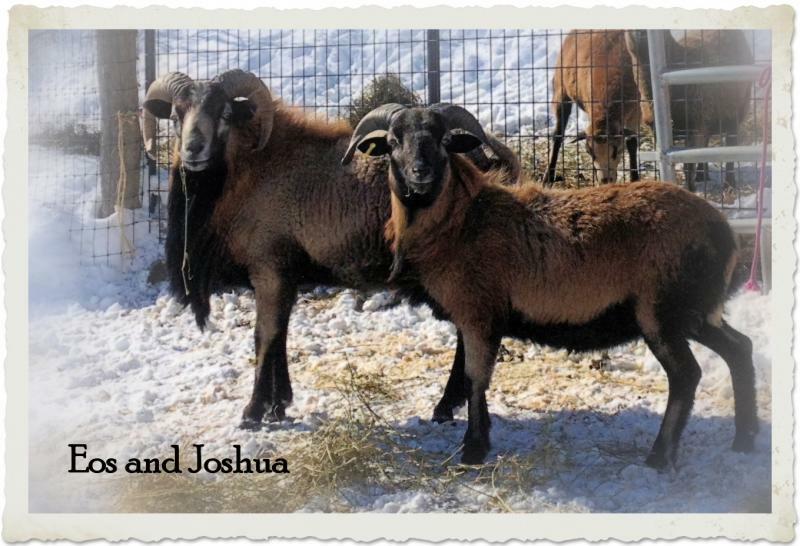 The sheep sport a distinctive hair coat in a range of tan to brown to red, with dramatic black markings. 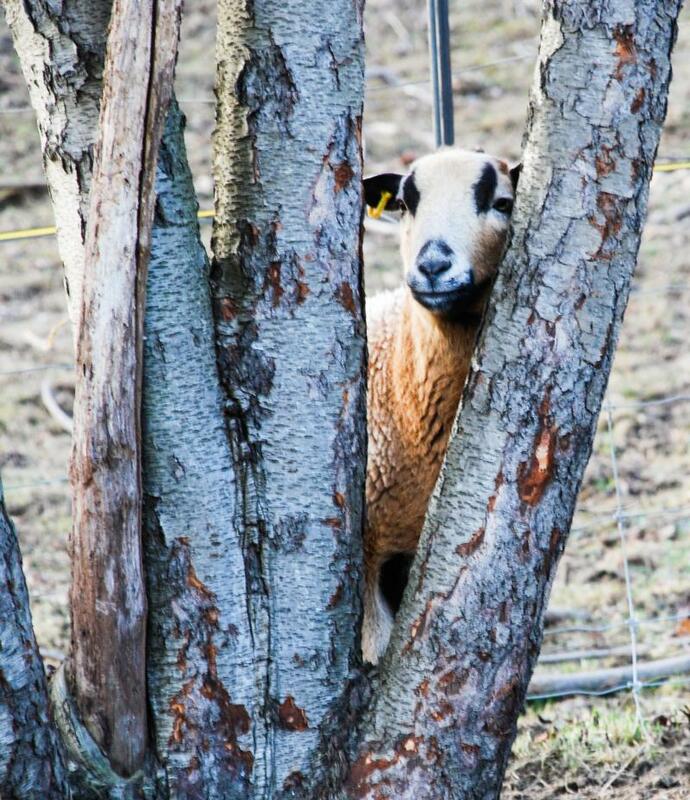 We are expecting our first crop of lambs early Spring 2015 and may have some registered lambs available for purchase. Check back with us in May if you are interested. Contact Us. 2016 - We had a good healthy crop at this spring's lambing and we will have more coming this Fall, so check in with us about availability of lambs for sale. 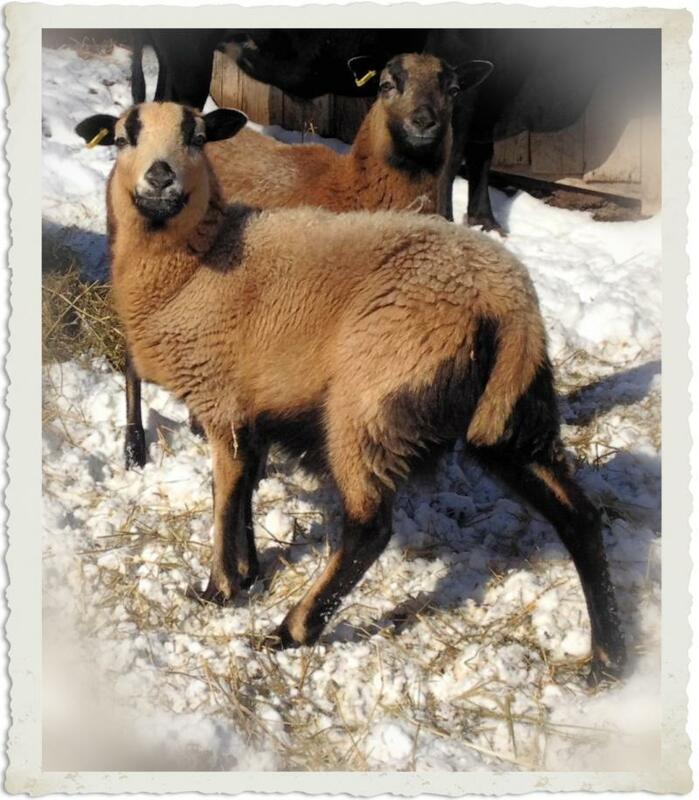 **We now have a trio available for sale of Spring 2016 lambs. Ewe with her 2016 lamb.